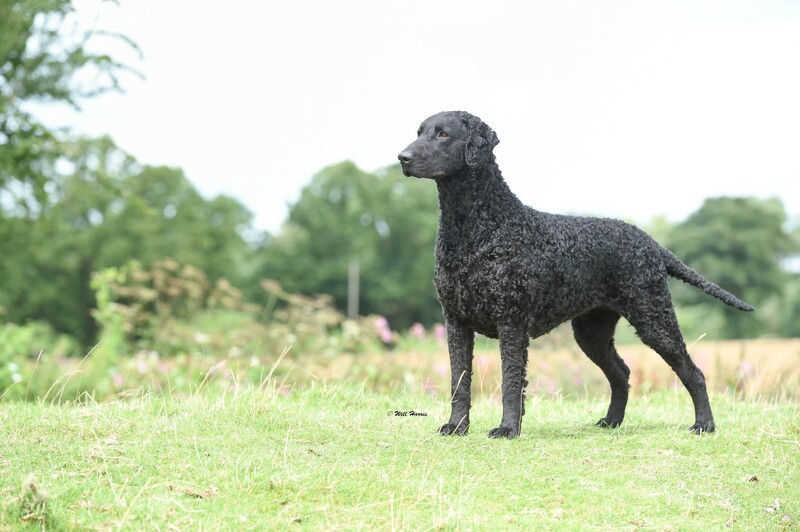 Curly Coated Retriever, popularly known as curly, is a dog breed bred in UK. 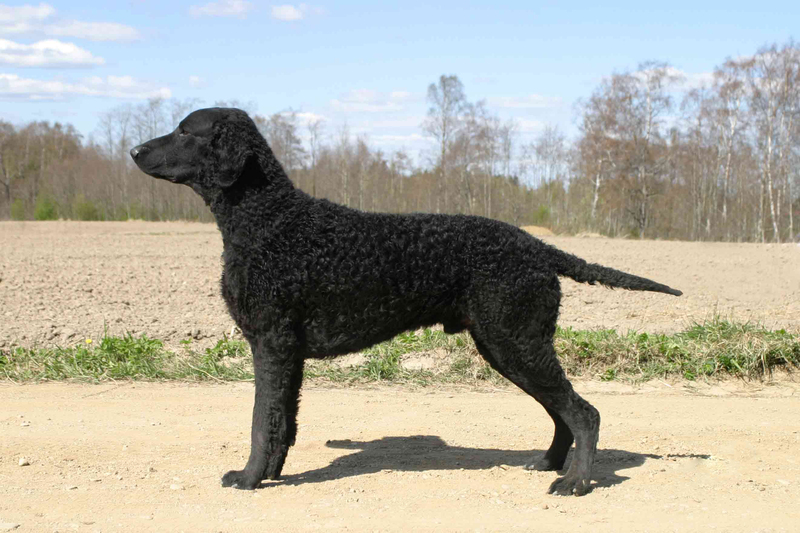 As the name suggests, it has a mass of tight curls that cover its body. Among retrievers, it is the tallest. 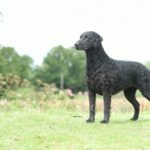 The healthy and strong dog is graceful and elegant, agile and quick. 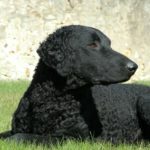 It is one of the most athletic dogs. 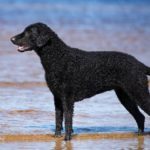 It requires an athletic and healthy owner who will take it to biking, swimming, jogging and hiking. Daily minimum 40 minutes exercise required. 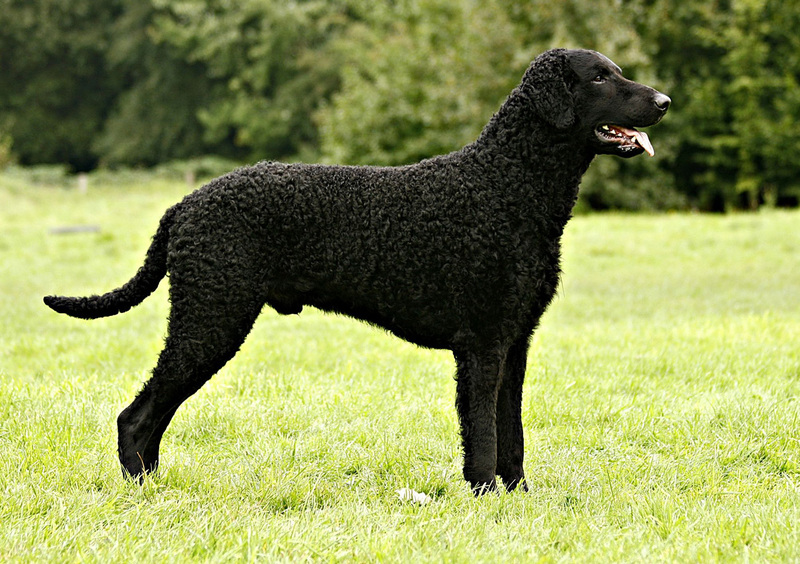 Puppy Price: Average $750 – $1250 USD. 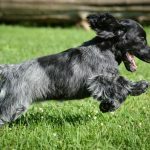 As it is a healthy and strong animal, it requires best quality diet especially formulated for athletic dogs so that it can maintain its health. Dry food is advised as it can help eliminating the plaque that may cause tooth decay, smelly breath and inflamed gums. Don’t make the mistake of feeding it with one large meal. Split the meal into morning and evening so that canine bloat is prevented. You can free feed as well, but make sure that dog doesn’t overeat. If this dog isn’t exercised as per its needs, it will become destructive in no time and can result in lots of damage. Don’t leave it alone without giving it a proper exercise. Whenever you are leaving it alone, make sure there are enough chew toys to keep the dog busy. They have a habit of chewing and will literally keep anything in their mind that fits best. Keep pillows, shoes and children toys away from it. They should be taught well enough not to bite the sleeves and hands. 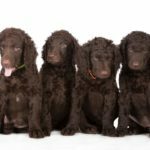 This breed will experience a longer puppyhood. They can be rambunctious and rowdy in their early years. 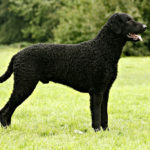 It is a string and intelligent dog that has the stamina to keep going all the day long. It needs to live in a home with a huge garden. It would be good if it lives closer to open countryside. It must have 40 – 120 minutes of exercise daily. At least 40 minutes are essential. The tight curls are waterproof. It will not miss the chance of getting into the water. The unordinary and special coat needs some professional care so that prevention of debris is ensured. Proper skin maintenance will ensure healthy life. 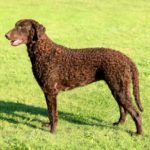 It looks very similar to most of retrieving breeds. It is large, athletic and graceful. 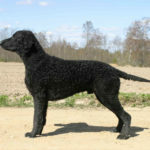 Their major characteristic is the crisp and curly coat of hairs that comes in liver or black color. This coat prevents the dog from brush when it is hunting. Face of the dog is soft and smooth. Same is for front of legs and hocks. As they are tall, they are bit longer and have strong backs. 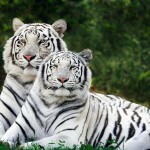 The color of eye may differ as it depends mainly on color of coat. They have long tails that are carried straight back from body and it has pendant ears. 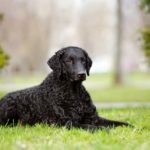 The average life span expectancy of Curly coated retriever is 9 to 14 years. 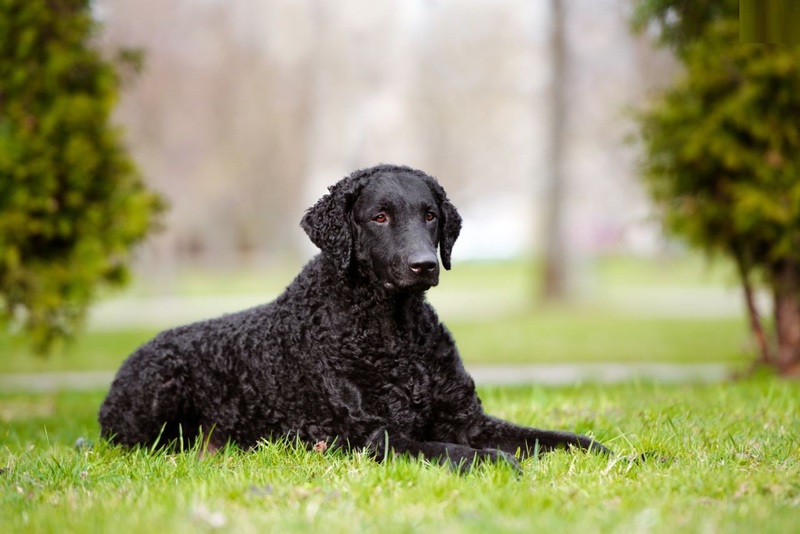 Curly coated retriever is prone to epilepsy, eye problems and dysplasia. Other concerns may include entropion, gastric dilatation and volvulus, cataracts, distichiasis and glycogen storage disease. Regular checkup is suggested so that there are no unwanted health issues. The accurate and correct history is still unknown. According to most of the people it was first exhibited in Birmingham, United Kingdom in 18th century. 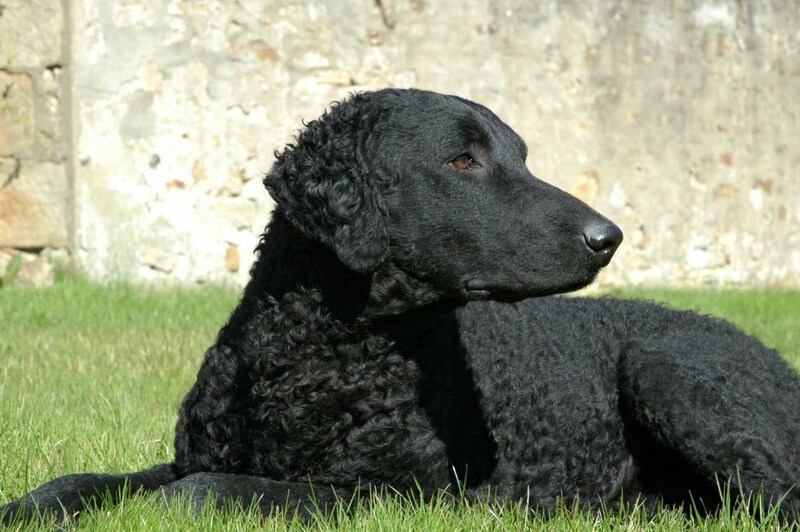 In late 1880’s some of the curly coated retrievers were exported to New Zealand. They are also found in Australia. 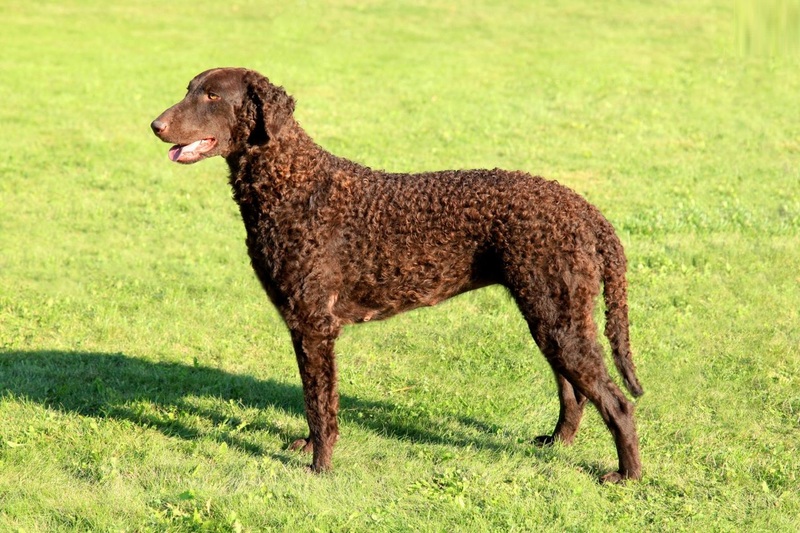 The breed is still uncommon. Occasional bathing is required. Ears should be checked regularly to ensure that there are no infection or irritation. Use an approved cleaner and a cotton ball to clean the ears. Their nails grow very quickly and should be trimmed when they grow. Teeth should be brushed at least once a week so that there are no breathing smells and to keep tartar away. It shed hairs lightly throughout the year. It may shed heavily couple of times each year. The shedding depends on local climatic changes and seasons. Although many of the people think that its reserved nature makes it difficult for it to reach to the strangers. It is not the truth. Although it is a retriever, it is social at the same time. You need to work on this aspect a bit. 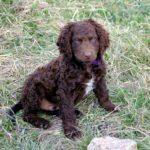 Early socialization with sights, people, situations and sounds will make sure that your dog will have an accepting nature. Enough exercise, if provided, will keep it happy and highly energetic. On the other hand, it can easily lose temperament if no proper time is given to exercise. 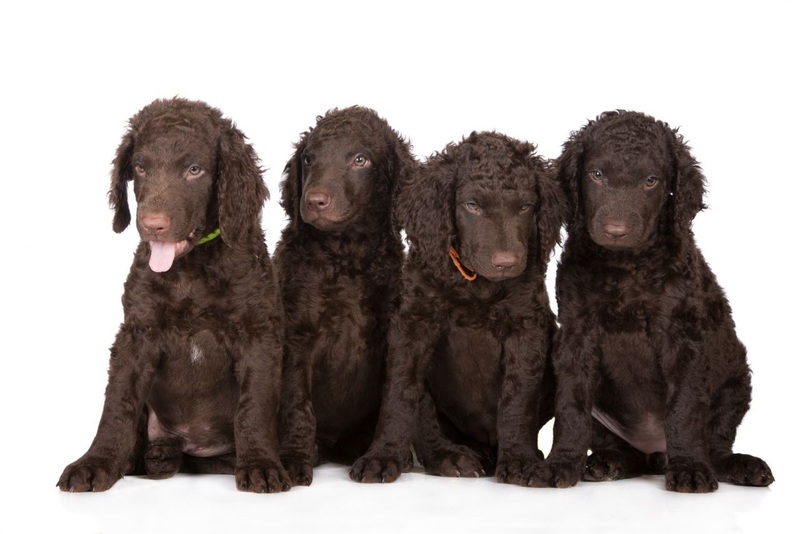 They mature slowly so they stay puppy for longer period of time. 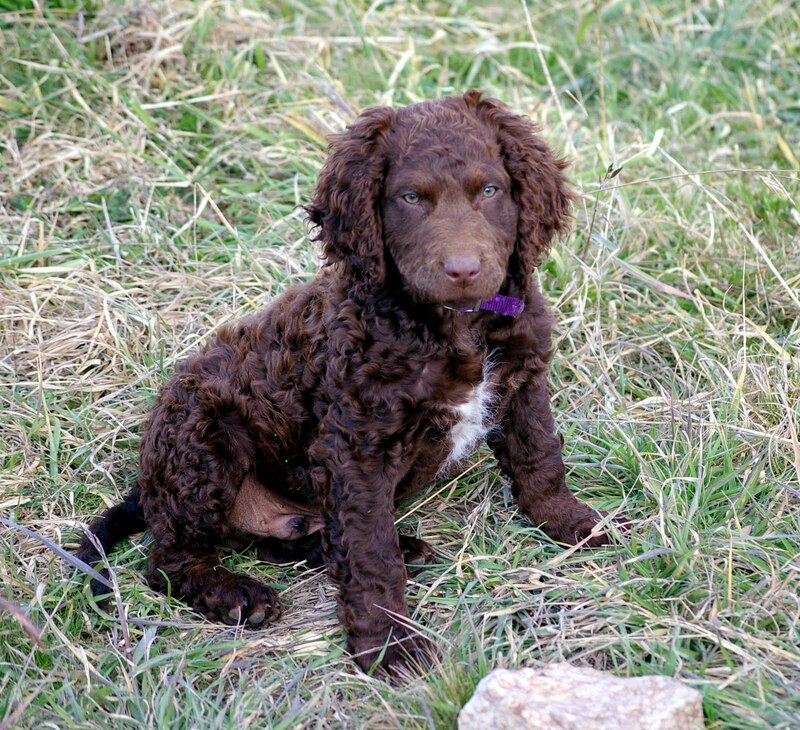 You must ensure that you are ready to deal with puppy before you decide to buy this dog. It will also get bore in no time, so a bunch of toys is also necessary to deal with it. Low maintenance is required to keep the dog happy. No stripping or trimming is required. Shedding is needed some often. Brushing will help it. Get ready to vacuum often. The dog is average when it is about training. You will see results gradually. Watching ability is great. The dog will alert the owner by barking in no time. It isn’t a highly protective breed. They also may not scare a stranger. Large garden is required as they aren’t suited for apartment living. They can handle all sorts of weathers. 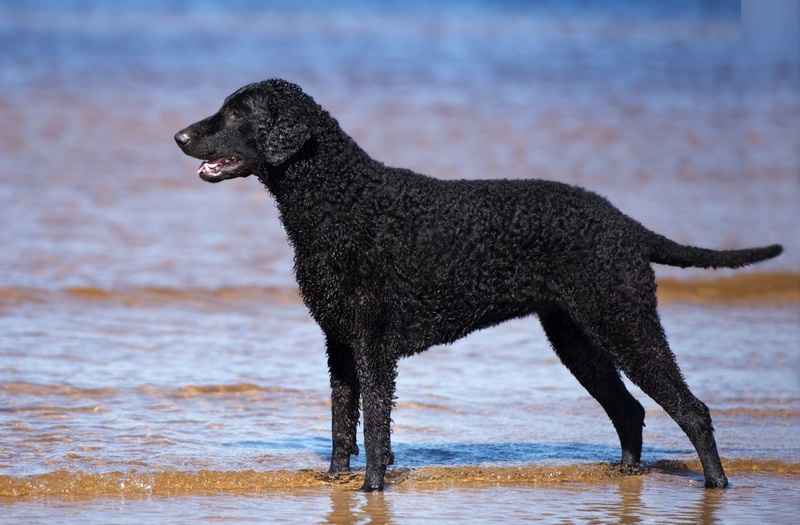 The dog is highly active and exercises daily to keep it fit and strong. One or two trips to Dog Park is a nice idea. 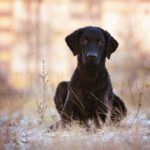 The dog is best option for those who have no experience with dogs before. 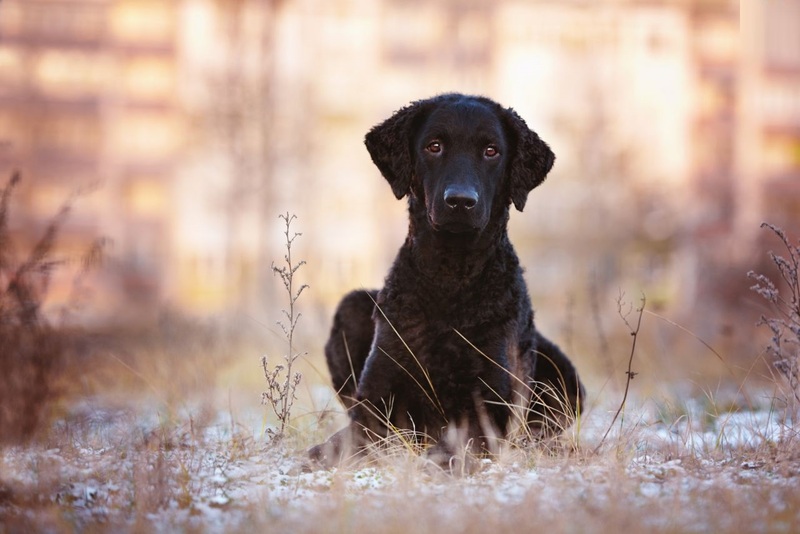 As the dog is energetic and playful, it will play with your kids. So, it is a suitable breed for your kids. It is also affectionate.